Can this really be happening? Pelloni now has a Kickstarter for the full bob’s game for PC, Mac, Linux, and Android. He’s hoping to raise $10,000. At the time of this writing, he’s raised $1,515 with 28 days to go. I think he’s going to do it this time. I’m also a big fan of his reward tiers – or tier, rather. For $20, “You get access to the full single player campaign when it is available, a premium account for the online service, access to a special forum, and other goodies!” I actually have a lot of respect for that. Is it sad that I actually had a dream that I met Robert Pelloni last night? There’s a nice, long history written at bobsgame.com as well. You might want to check it out! Thank you to everyone who continues to check out my site and keep me informed. I received comments about the new Kickstarter on my last bob’s game post by wot is bobs gam, killamo187, and anonymouse, so thanks you three! Also, thanks to gBev for keeping up the Bob’s Game Mailing List. As usual, I’m going to update my master post on bob’s game here on Polygons and Pixels, The strange tale of “bob’s game.” I’m going to consider this Act X. That’s a nice, round number. It sure would be nice if this is the one that leads to an actual release! Update, 5/23/14: The Kickstarter succeeded yesterday! 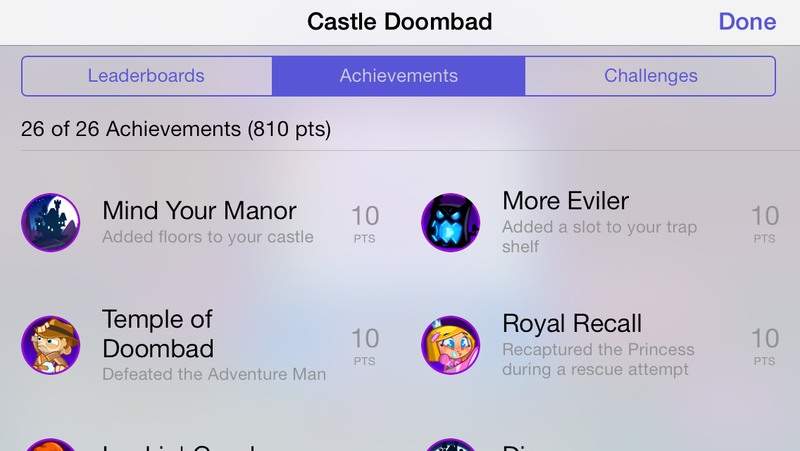 When my friend Joe told me about Adult Swim’s new iOS game, Castle Doombad (developed by Grumpyface Studios), in February, I immediately bought it. I’m a fan of some of their previous games, so I was excited to play this new one. I don’t intend this post to be a formal review, so I’m not going to worry about going into too many details on the game. 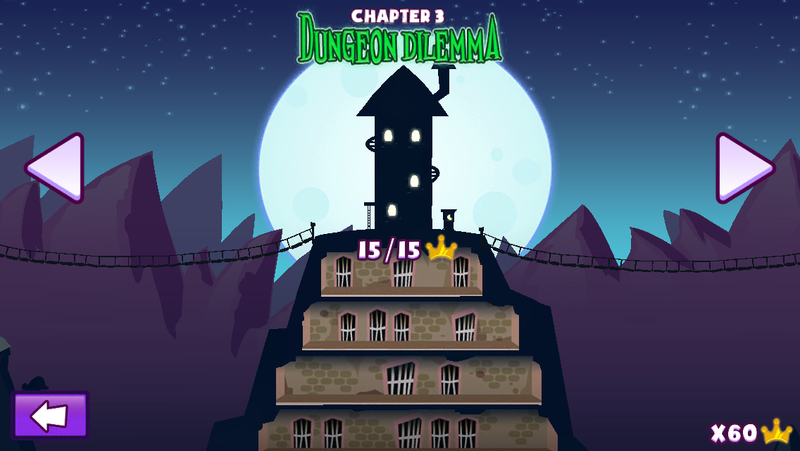 However, it’s a tower defense game in which you try to protect your captured princess from heroes. You can beat a stage by ensuring a hero never rescues the princess, but you can also crown a stage by keeping a hero from ever reaching her. 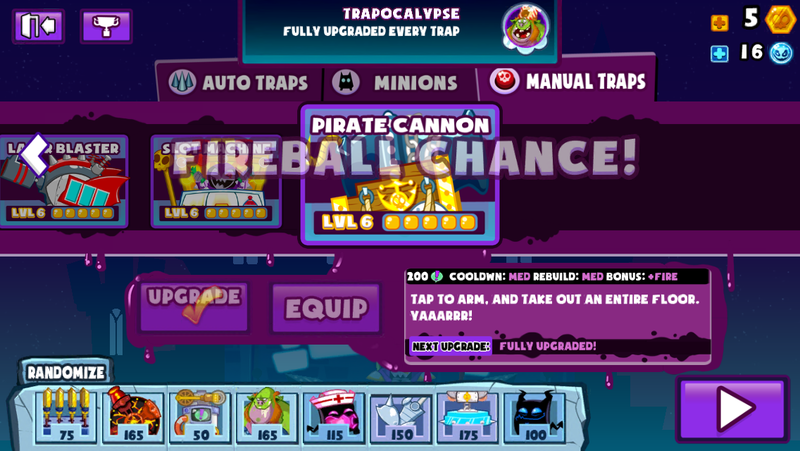 You earn currency in the levels and can use it to purchase new traps or upgrade current ones. 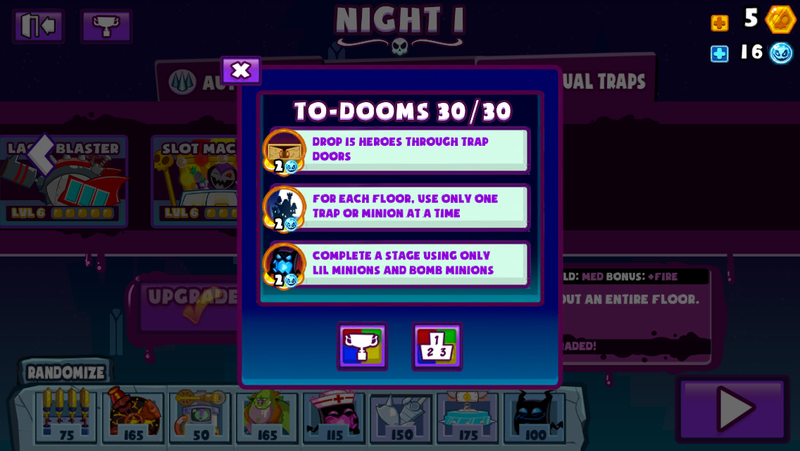 In addition, there are thirty tasks called “TO-DOOMS” that reward a second type of currency, used for powerful abilities. 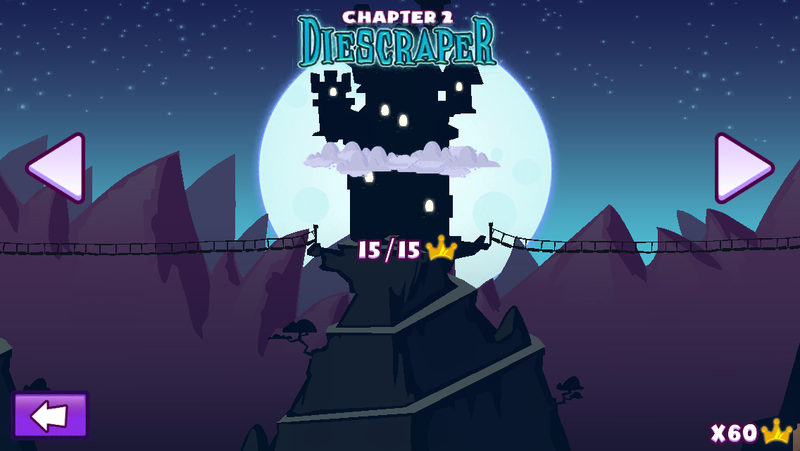 Here you can see that I crowned every stage in the first chapter. 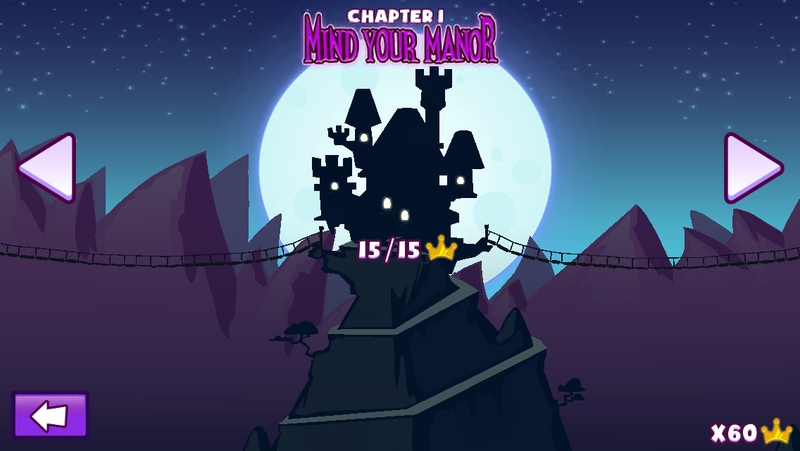 And here I crowned every stage in the second chapter. I couldn’t leave the third chapter incomplete. 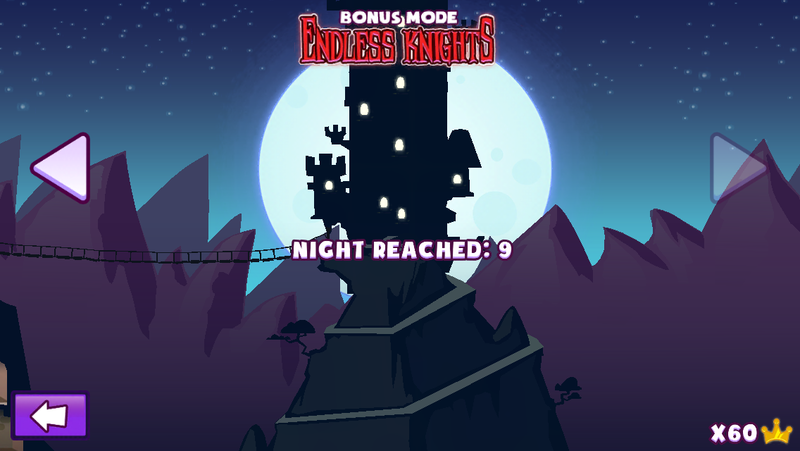 Every good game needs an endless mode, and of course, I played that too. The Summer Slaycation update introduced a new chapter. In this one, there are two princesses you need to protect. I crowned every stage here too. I had to ensure all my to-dooms were to-done. 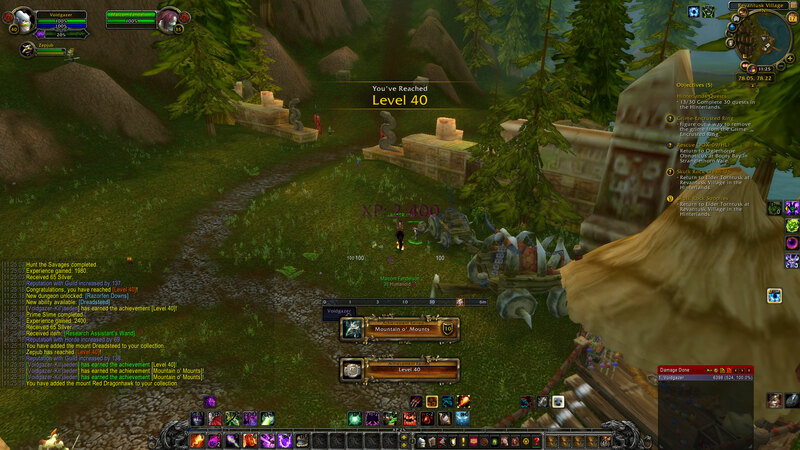 …which means that I earned every achievement. Okay, Adult Swim, I’m ready for another update now. What a disappointing game. 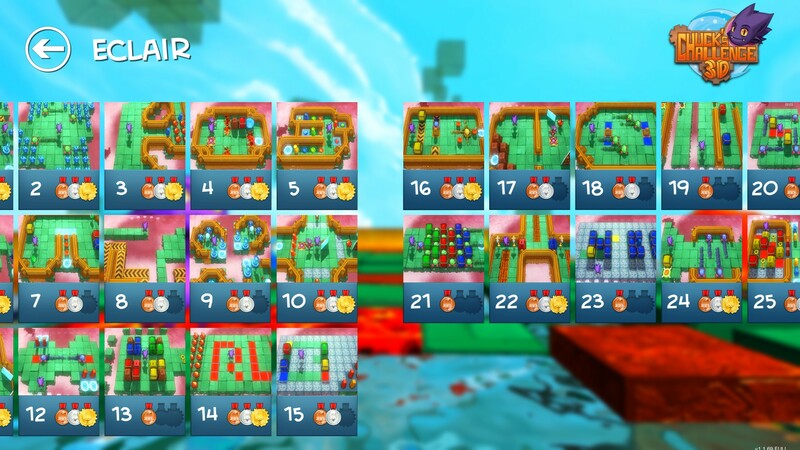 I thought it’d be fun, and it did keep me entertained for the first half of the first level, but my attention declined quickly. Obviously, the gameplay is simple – type words to shoot zombies. 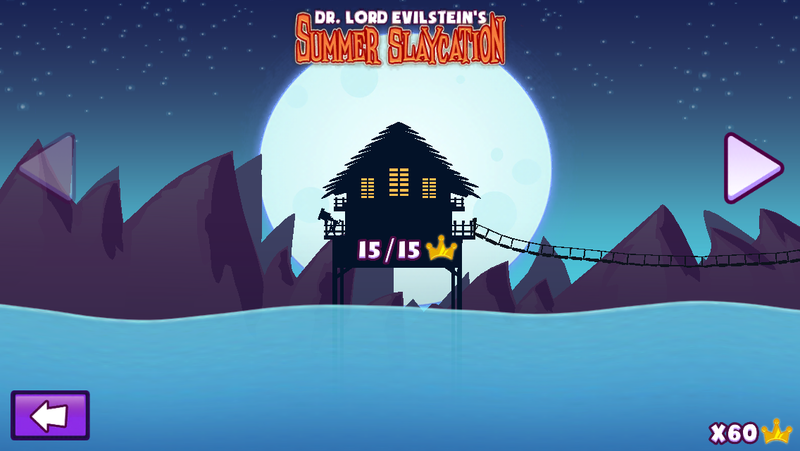 With such a basic mechanic, the levels should be kept short, but instead they continue long after I became bored. 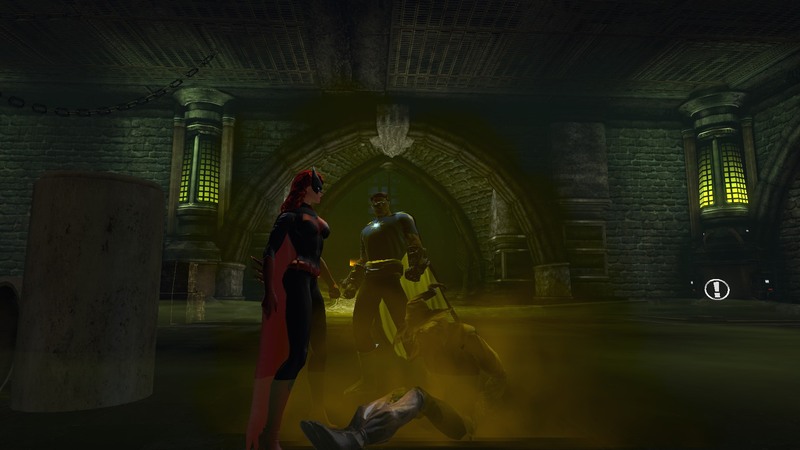 TotD:O presents itself in the style of a B-movie, but it’s over-the-top antics felt too forced. It was filled with cliches and sexual innuendo, and I didn’t enjoy it at all. Modern Dream developed The Typing of the Dead: Overkill, Headstrong Games developed the original, The House of the Dead: Overkill, and Sega published them. I don’t know who’s to blame, but maybe they wanted the game to be sort of meta. 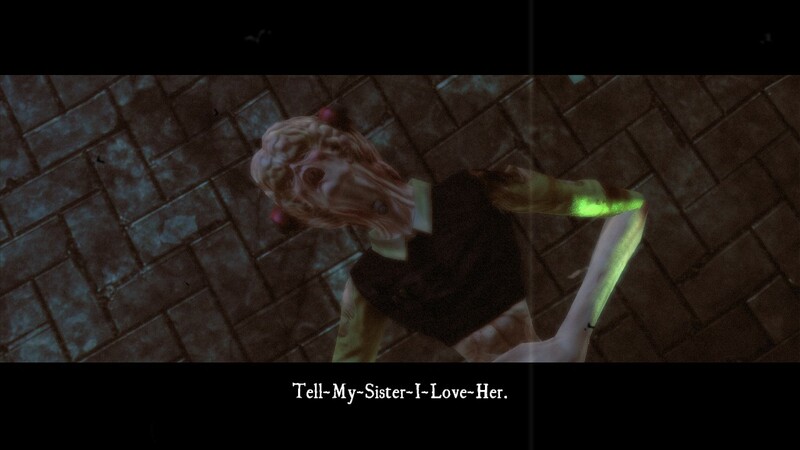 As the boring levels and grotesque cliches lumbered forward like a game idea that should have died and but instead was forced into this state between life and death, I can’t help but think the The Typing of the Dead: Overkill has become the very thing you’re tasked with destroying in the game itself. Whatever. I’m not putting any more time into this game.